At one moment or another, we have all wondered what the Queen of England carries in her pocketbook. Certainly, she does not need a driver’s license, a credit card or loose change for parking. But there it is, firmly implanted in her hand. 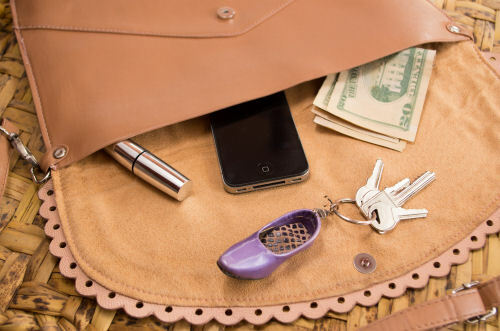 For our female clients, the necessity of that pocketbook is also a must. But perhaps for different reasons. Let me tell you about Madeline. She has mid-stage dementia. One day, as she left her home for a doctor’s appointment, she realized she had forgotten her pocketbook. I was the designated driver, and I could hear her ask for her pocketbook as she descended the steps from her home. Lillian, the caregiver said, “you don’t need your pocketbook.” My window went down and I told Lillian to go back inside and get Madeline’s pocketbook. I knew it was only going to be a matter of time before Madeline asked for it. Because a lady has always carried a pocketbook. Because a woman feels secure when she holds it in her hand or sees it on her walker. Because even with dementia, a lady may want to reapply her lipstick or check her hair. Because a woman wants to feel in charge, as she always has, and pull out a few dollars and treat everyone to ice-cream. Because we, as care managers, care givers and family have a responsibility to help “the Madeleines” retain their dignity, even when they don’t recognize something is missing. This geriatric care manager thinks of each of her female clients as royalty. And as such, while her handbag may not match her outfit, each lady will surely have one firmly clutched in her hand or placed in the basket of her walker when she leaves her house to greet the world.